#1 Laurence Harvey, an ambient, dub and downtempo producer from the UK. #2 Kuba Ka, a pop/rock artist from the U.S. #3 An instrumental band from Latvia, loosely described as postrock. #4 A Polish Nationalist singer. Laurence Harvey, an ambient, dub and downtempo producer from Cambridge, UK. His debut album Inside Out (2006) was released on liquid sound design (Dragonfly Records sister label). The other three productions: Through a Lense (2007), How The Future Sounded (2008) and Bringing It All Back Home (2009) were released by Chillcode music. #2 Kuba Ka, a pop/rock artist from the U.S.
#3 An instrumental band from Latvia, loosely described as postrock. #4 A Polish Nationalist singer. 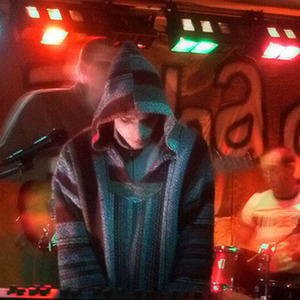 Laurence Harvey, an ambient, dub and downtempo producer from Cambridge, UK. His debut album Inside Out (2006) was released on liquid sound design (Dragonfly Records sister label). The other three productions: Through a Lense (2007), How The Future Sounded (2008) and Bringing It All Back Home (2009) were released by Chillcode music. Kuba Ka, a pop/rock artist from the U.S.
KUBA Ka is managed by Frank Dileo. KUBA Kingdom - a KUBA Ka entertainment destination, is in planning with architect Atkins Global (London) and real estate company TR Las Vegas Group. Kuba was an experimental/post-rock band from Riga, Latvia formed in year 2001 by previous members of Lolitas Br?numputns, Dull Doll and The Satellites. They split up in 2006. All the members are still playing in other musical projects and bands. 2002 || LP ?15 Episodes of Kuba?